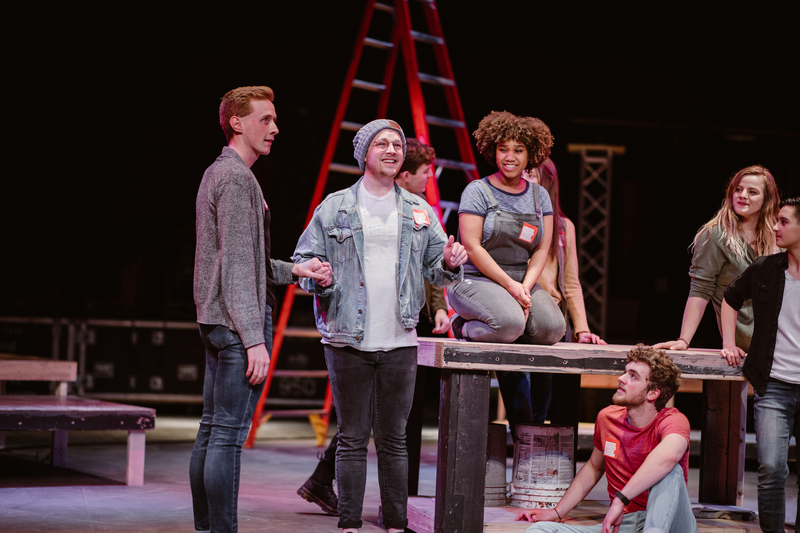 Join ISU Theatre in a celebration of community and love when it presents the musical “Godspell,” opening Friday, April 5 at 7:30 p.m. in Fisher Theater in Ames. 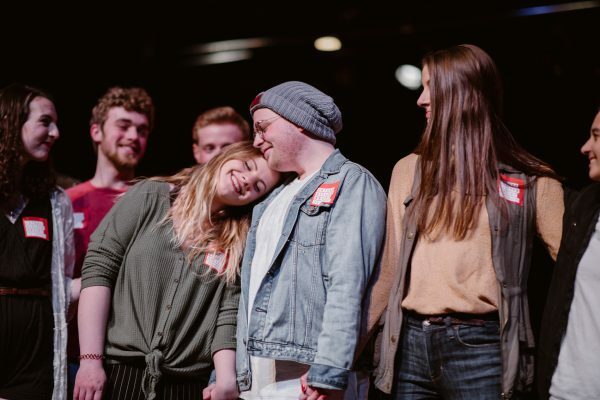 Using a wide variety of storytelling techniques and a hefty dose of comic timing, a diverse group of 21st century college students encounter Jesus, who leads them through stories inspired by parables in the Bible’s book of Matthew. The musical’s setting takes place in modern-day Fisher Theater, as the performers journey from a discordant group of individuals into a community. The music features inspiring and entertaining songs ranging from pop and rock to vaudeville. 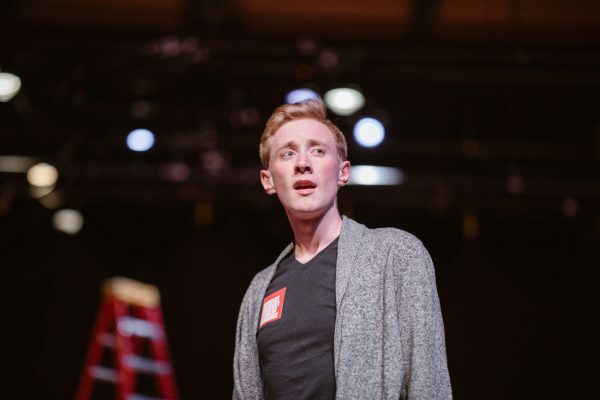 “Godspell” is about a community that comes together out of darkness to create a better tomorrow, said Keaton Lane, senior in journalism and mass communication, who plays the role of Jesus. “There’s a reason that these religious parables and lessons have been used for so long, and it’s because they speak to something real and important about what it means to be a human and to struggle every day to be the best version of yourself that you can be,” Lane said. Cast member Emily Heckle, senior in animal ecology, said the show’s stories have universal relevance. The show dissolves hauntingly into the story of Jesus’ last meal with his followers before his crucifixion death. The new community must then ask themselves what they will do with Jesus’ message to make their world a better place. Brad Dell, the show’s director and director of ISU Theatre, hopes the audience will be moved by its message of empathy and compassion. 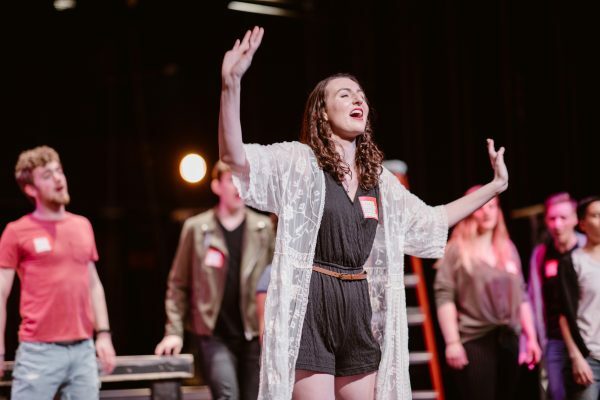 “Godspell” opens on Friday, April 5 at 7:30 p.m. with additional evening performances on April 6, April 12 and April 13 at 7:30 p.m. Matinee performances will be held on April 7 and April 14 at 2:00 p.m. All performances are in Fisher Theater in Ames. For more information, visit www.music.iastate.edu/how-get-involved-theatre-and-performing-arts.